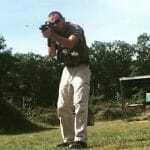 One of the biggest challenges gun owners face with our various firearms is managing supporting equipment. 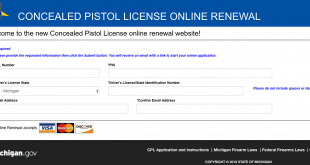 Due to the wide variety of designs there is no universal shape or size to firearms, this makes the supporting equipment firearm specific in most cases. What this equates is a pile of magazine pouches and holsters purchased for every firearm specifically or poorly fitted “universal” one size fits none solutions. G-Code is a Kydex holster and accessory company that has been bringing to market a variety of innovative supporting equipment solutions. 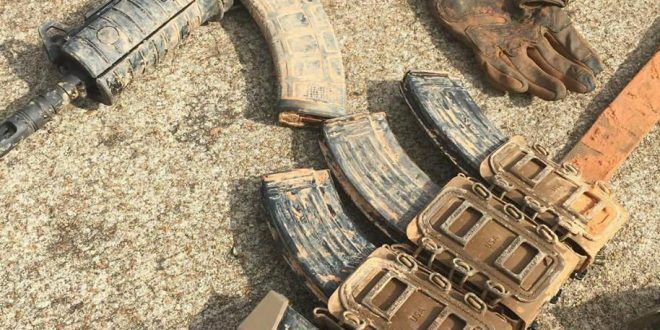 Their modular RTI system allowed one holster or magazine carrier to be used on multiple platforms. 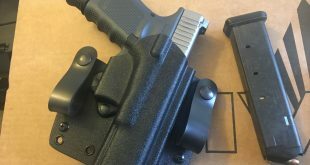 It’s a rapid transitional interface that can move a holster from a belt, to a plate carrier, drop leg, a steering column, or any panel easily with a the flip of a switch to unlock and then relock on the new RTI base. Additionally the RTI made what to do about holstering multiple pistols an easier equation to crack. Buy a new RTI holster shell for whichever new model and place it exactly where you’re already running your current holster, keeping things consistent and keeping your gear costs lower. Holsters are just one aspect, keeping the firearm full of ammo requires magazines. G-Code does an excellent line of Kydex single stack, double stack, and rifle magazine carriers. The HSP D3 panel, for example, allows the user to carry two AR15 magazines and up to three pistol magazines. The D3 is also belt and MOLLE configurable making it adaptable like their RTI… however Kydex’s strength and limitation is that it’s shaped. Once formed the magazine carrier is specific to the pistol and the rifle magazines are only AR/STANAG which, while popular, excludes other platforms. Not everyone runs AR/STANAG rifles as their preferred firearm and many owners have multiple differing handguns, myself included. 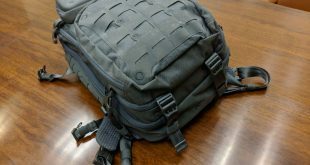 G-Code’s latest, the Scorpion Softshell series, adds exponentially increased modular capability with much less hardware. The two carrier sizes allow a wide range of options. The short exposes more of the magazine body and allows more surface to grab and pull for a reload on standard pistol magazines while also allowing shorter compact magazines to be carried easily. They are light and unobtrusively compact. The tall carriers hold full size pistol magazines securely and allow the easy carry of extended magazines like the factory Glock 33rd, Sig MPX, CZ Scorpion EVO3, or MP5. The rifle carrier comes in one size with 20 and 30 round magazine styles in mind. Both pistol and rifle carrier types utilize a three piece assembly design with a folded soft core that makes up the face, back, and bottom with two rigid plastic tabs that make up the sides. An elastic cord is laced through the carrier to hold it together and provide adjustable tension on the magazine. The lace allows it to be resized for different magazine bodies. Drainage holes are grommets in the bottom to shed water and debris. The plastic sides and soft shell are moisture resistant/chemical neutral to simplify maintenance. Unlike the Kydex D3, the Scorpion Softshell series resizes easily to fit multiple magazines. The rifle carrier fits AR/STANAG, AK, AUG, M1A, FAL, SCAR17, G3, AR10, and most similar sized magazines. 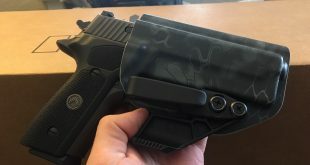 The pistol carrier will do all double stack and single stack magazines of 9mm, .40S&W, .45 ACP, and any other with an equitably sized magazine. Pistol caliber rifle magazines like the Sig MPX, CZ Scorpion EVO3 or MP5 also secure readily in the tall pistol carriers. I’ve been using two of the short pistol carriers and a rifle carrier in grey/grey color combination for a dew months to test and evaluate. Mounted with cobra/small accessory paddles they accommodate my normal daily attire comfortably and in any arrangement I chose. A leather or nylon belt made no appreciable difference and magazines rode snugly all day at my side as unobtrusive as two pistol and a rifle magazine could be. The real utility emerges when you switch up your system. If I want to carry my Glock 19 instead of my Sig P226 Legion it is no more complicated than putting magazines into the carriers. No locks, no plates to unscrew and reassemble, and no need to readjust the tension. After setting it once with the cord the carrier gave positive retention and a smooth draw on both steel body and polymer body double stack magazines with no issues. I appreciated the extra exposure the short carriers give the magazines to be pulled, especially on shorter Glock 19 magazines. Tension may have to be adjusted for a single stack magazine but doing so takes around a minute at most and can be accomplished while wearing the carriers. The rifle carrier was a similar process. I set tension for the 7.62x51mm SCAR17s magazine. This still provided retention on all AR/STANAG magazines I tried but was not overly tight on the SCAR17 magazine which could complicate a reload. Setting your tension based on your largest diameter and shortest height magazine you can ensure smooth draws and positive retention for most magazines from the carrier. G-Code’s mounting options have expended with the P/R (Pistol/Rifle) 1, 2, and 3 mounting clips. The 1’s are MOLLE compatible, 2’s work with G-Codes Operator Belt, and 3’s are designed for universal belt use. The MOLLE clip will also piggy back a pistol magazine carrier onto a rifle magazine carrier consolidating used belt space or organizing space on a plate carrier through layering. Having run the paddles off the belt their detractor is having to space the magazines for comfort. Clips will allow them to run closer together and layered increasing the flexibility and usable utility of the carriers. The only flaw I found from the factory was incomplete lacing on the rifle magazine carrier. This didn’t influence function and I only noticed it by tracing the elastic cord, it was remedied as simply as re-lacing a shoe. Over the past several weeks using both the pistol and rifle carriers consistently I’ve never had a more convenient, comfortable, nor configurable set up and with the introduction of the clip system those qualities will increase. I will be getting my hands on some 1 and 3 style clips for belt and MOLLE systems and grab a full set of extra pouches for my plate carrier as a permanent modular system that will work for any handgun and rifle combination I utilize. Check out the entire Scorpion Softshell line-up and options here https://www.tacticalholsters.com/category/Scorpion_Softshell.html and browse their entire catalog of holster and carrier selections. For me, I need about six to eight more.